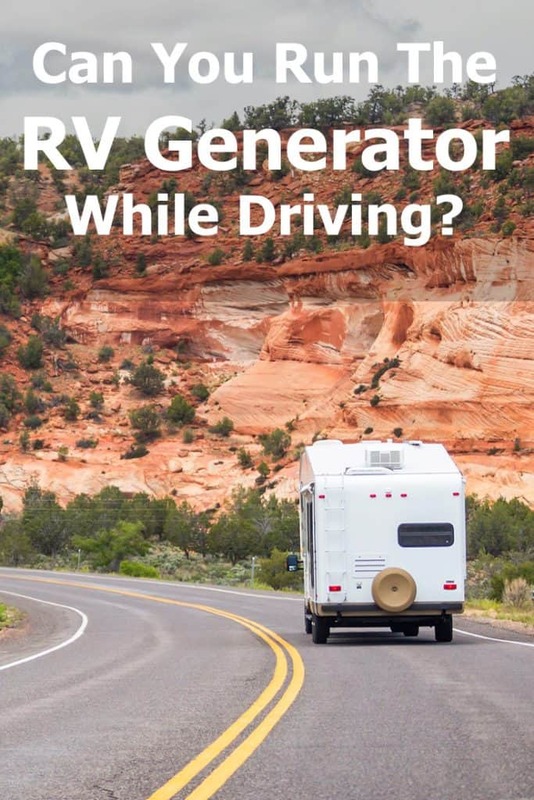 Can You Run the RV Generator While Driving? Generators can add much needed power to an RV. 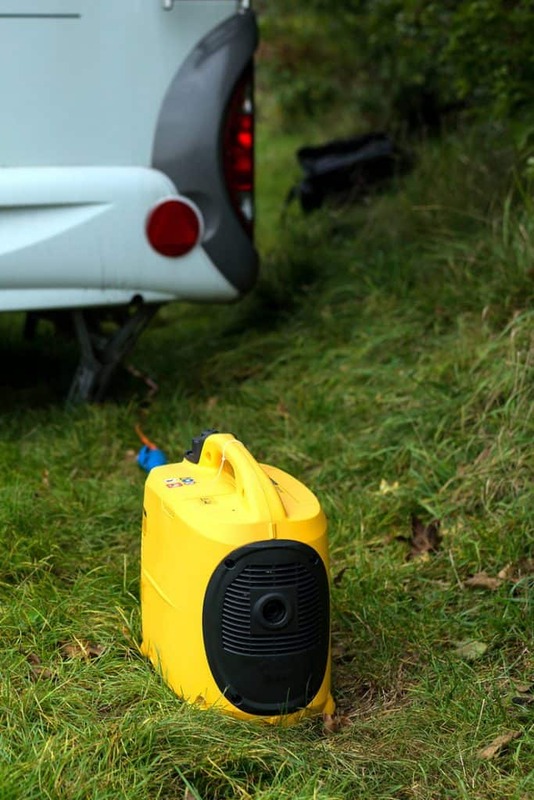 When not hooked up to electricty in a campsite, the generator gives the needed boost for operating heavy appliances and the air conditioner. But can you keep using the generator when driving on the road? Is it safe? Legal? Effective? The answer depends on the type of RV that you’re driving. 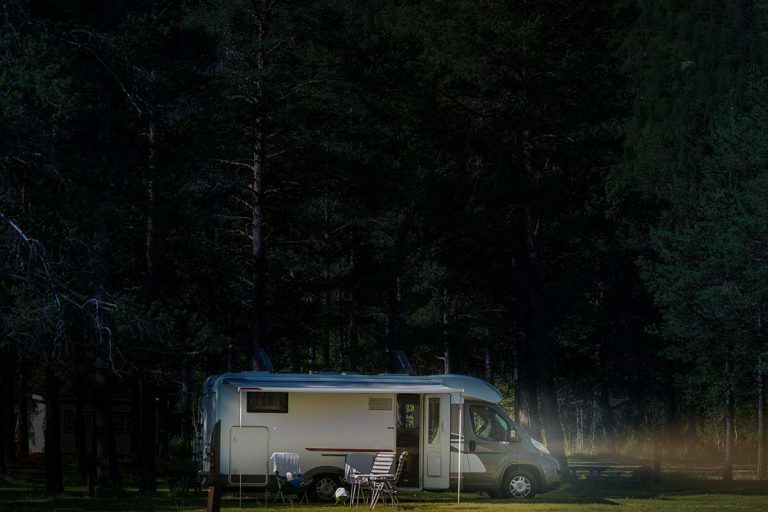 Motorhomes have built-in generators that are made to operate while on the move. And you may need that when driving in a hot climate, to keep the shared interior of the RV cool. 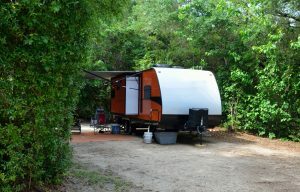 However, travel trailers and fifth wheels usually only have auxilary generators. If you had to, you could operate a generator on a travel trailer or fifth wheel while on the move. However, most people do not. It’s simply not needed as the battery can take care of your needs for the duration of the trip. 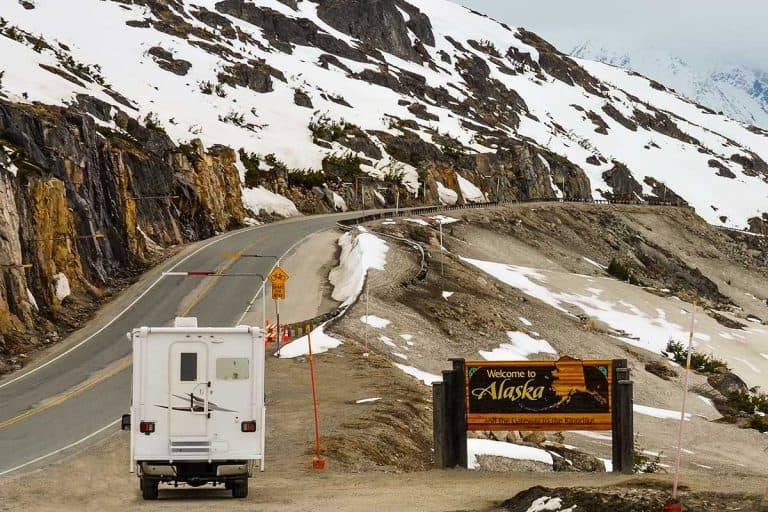 In this article, we’ll go over the basics of power systems in any RV, and then see which ones you need to operate – if at all – while on the road. 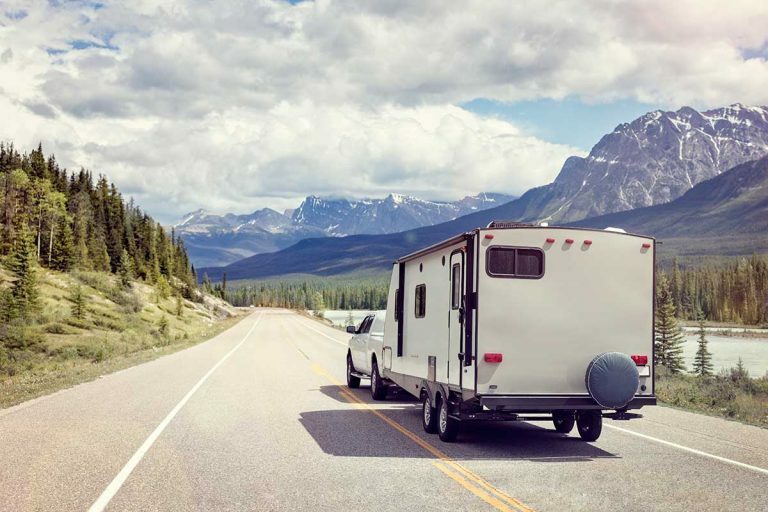 Motorhomes, travel trailers, and fifth wheels all need to be connected to a decent power source if you want to enjoy air conditioning and all of the appliances that come with these recreational vehicles. Some of these RV’s need an additional power source to power certain appliances while on the move and some do not. If you can find an electrical grid to plug into, then you can utilize it for a decent shore power energy boost. The available power you can gain is measured in amps. 30 amps and 50 amps (for bigger RV’s) are the most common RV connections. House outlets are usually around 15 amps. You may need to use a converter – fondly known as the “dogbone” to make sure you’re getting the right amperage flowing into your electric systems. RV parks usually have a circuit breaker on or near a pedestal. Hook, then turn it on, and then make sure you turn it off after you leave. Almost all RV’s will come with batteries already installed in them. When no external power is available, batteries will still provide energy and keep you in a good mood. With batteries alone, you can only power basic appliances. You can run the water pump, lights, and other appliances, but that is usually it. Batteries cannot completely power air conditioning or heating systems alone. Also, using major appliances like the overn, washing machine, microwave or other plug-in appliances with a battery only is not a viable option. External power sources such as generators, shore power, vehicle engines, and solar power sources can charge your battery at any time or place as long as they are connected to the battery. When you are on the move, your vehicle’s engine will power your battery. These “house” batteries may consist of many different batteries that are connected to each other. They’re separate from the battery that’s used to start the engine of your motorhome or tow vehicle. Here’s a quick overview of the difference between the two types. Starter batteries for motorhomes are usually a bit bigger than the batteries in cars. They can start the engine of a big RV as long as they have the appropriate CCA (Cold Cranking Amps) rating. House batteries are made to provide energy for a long period of time, unlike engine batteries. Engine batteries provide short bursts of energy while house batteries provide consistent power for long periods of time. Deep-cycling is a process that house batteries go through. Deep cycle batteries are lead-acid batteries that are created to be regularly deeply discharged using most of its capacity. In other words, they can be totally discharged and completely re-charged many times. Deep-cycle batteries are durable and will continue to provide power four times longer than your typical starting batteries. 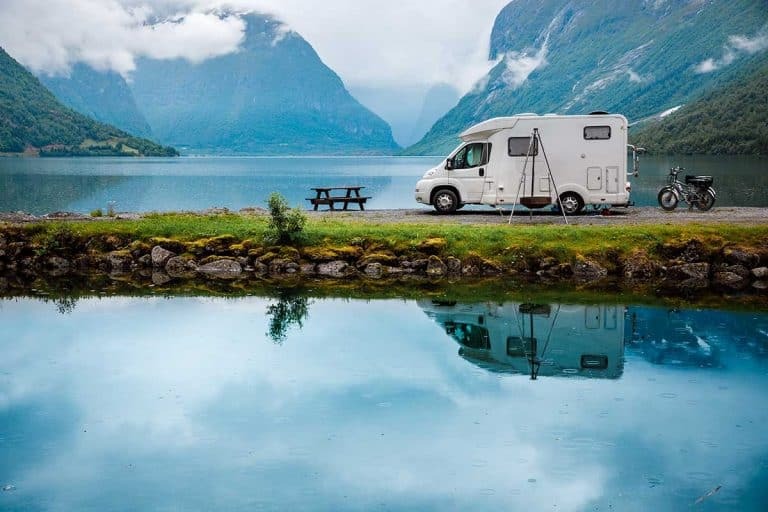 While you don’t usually operate your motorhome by directly using engine, that engine can charge the house batteries in a motorhome while it’s running. Last but not least (especially for the purpose of this post!) is the generator. There many variables to consider when choosing to purchase a generator that will allow you to enjoy the luxuries of your RV when no shore power is available. Motorhomes usually come with their own built-in generator. However in trailers and 5th wheels, generators are usually optional. Generally speaking, generators work like shore power because they plug into your system the same way. They can be powerful enough to operate your major appliances and AC system on. RV generators have their limitations. You can’t totally rely on them even when you’re camping. Most RV generators are relatively smaller than stationary generator people use in cabins and such. You simply wouldn’t be able to carry one of the larger stationary ones on the road, though you could use one if you plan on living in the RV without going anywhere. Generators are rated and categorized based on the number of watts that they can provide instead of amps. Smaller RV’s can be powered by a 1000 watt generator if major systems like air conditioning do not need to be used. The next step up from that is usually a 3500-watt generator that can effectively run most RV systems on the majority of RV’s. Do not attempt to overdraw your generator because that is more risky than overdrawing shore power. You will not be able to gain the amount of power needed to run everything in your RV properly. You could potentially damage appliances doing this, so make sure that you never attempt to overdraw a generator. That’s not just annoying to you – it’s annoying to those around you. In fact, with travel trailers and 5th wheels, the auxilary generators are usually outside the RV. Which means your neighbors will be subjected to the noise. Never use external generators indoors. This is a very important safety rule since they emit a large amount of carbon monoxide gas that can become lethal very quickly in an enclosed area or space. Run external generators outside. Make sure you learn about each type of RV generators. Built-in generators are typically a part of most motorhomes especially the newer ones. They are completely separate from the main engine and are especially useful because they are insulated and therefore not noisy and annoying like non-built-in generators tend to be. If you’re out there boondocking with no one around you, your limitation to running the generator will usually be the amoung of fuel that you have with you. But in a campground, expect to have limited hours during which you’re allowed to run your genny. This makes sense when you consider the level of noise – and potential stench – caused by so many people running generators in a small area. Now that we know more about the limitations of RV generators, let’s take a quick look at the types of generators out there, before we discuss the option of running them while on the go. Propane fuel is available as soon as it is hooked up to a generator whereas gas generators have to be constantly filled up at gas stations. Also, propane fuel will not degrade since it has an extremely long shelf life. Propane is also a greener choice than gas. The major downside is that propane tends to be more expensive than gas. Also, propane generators are less portable than gas generators since they tend to be bigger. Gas generators cost less than propane generators, and they are more portable because they are smaller in size. They have a higher heat output (which means more power per gallon). You will have to make trips to the gas station to get fuel for your generator. It makes sense to invest in a diesel generator if your RV runs on diesel. Diesel generators may be loud and big, but produce more power than propane. Diesel burns cleaner than gas and is not as flammable as gas either. This means the likelihood of explosions is lower with diesel. Also, portable diesel generators tend to be way more fuel efficient than gas generators. They will run longer on the exact same amount of fuel. Finally, let’s talk about using the generator when on the road. 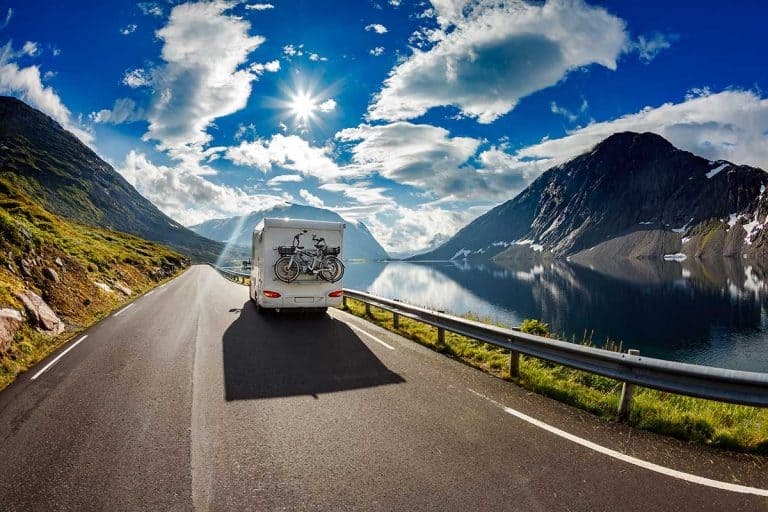 Many motorhome owners – the ones with a built-in engine-powered generator – run their generators while their vehicle is moving to keep the inside of their RV cool. They do that out of necessity, more than anything else. While motorhomes do have air conditioning available separately for the driving cab area, it’s not enough for lowering the temperature across the large shared space of the RV. If it’s hot outside, additional air conditioning may be necessary. Without shore power – the generator is the only way to get the power for the a/c. 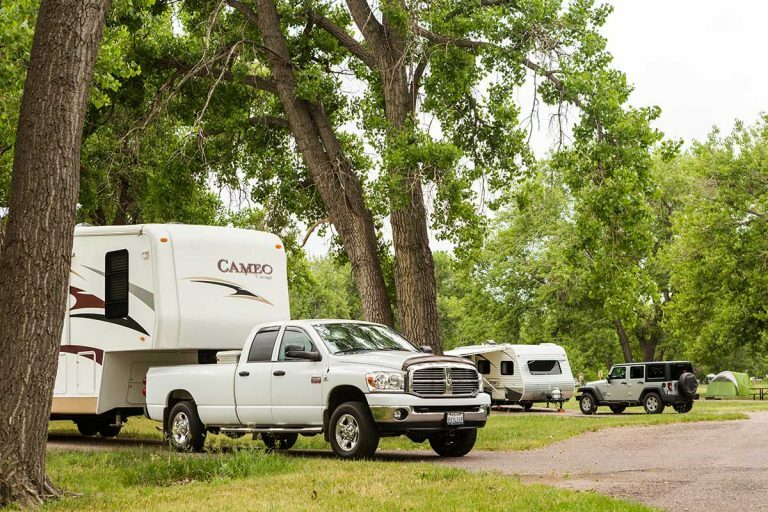 Campers such as travel trailers and 5th wheels are separate from their tow vehicle. While on the road, the driver and passengers are in the tow vehicle – usually a pickup truck or large SUV – enjoying the air conditioning provided by the vehicle itself. People let their trailers get as hot as it gets – not a problem because they’re not in them while on the road. Once they get to the campground, they hook up to shore power, turn on the a/c and let it run for a good few minutes before using the inside of the trailer. Which works perfectly ok – there’s plenty to be done outside while that’s taking place. What about the fridge though? Refrigerators in RV’s tend to stay cold during the drive, or they will continue to run off of a house battery. 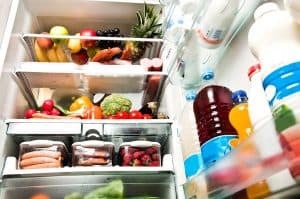 You may need to learn how to pack the fridge in a smart way, helping it to keep cold during the drive. And again, should there be an issue with the temperature, most RV fridges are designed to keep cold while taking only a small amount of power from the battery. But can you run the generator in a travel trailer while driving and towing? Yes, you can – but it’s not a good idea. 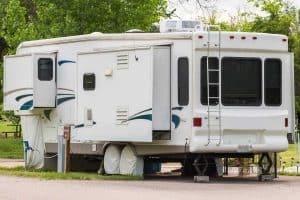 Generators that power 5th wheels and travel trailers tend to be outside of RV’s because they emit harmful fumes that include gases like carbon monoxide. Which means you’ll need to set up the generator in a way that it’s working while outside the trailer – not always easy. That’s why most travel trailer/5th wheel owners choose to leave their generators off while they are on the move. They don’t need to run the a/c and the fridge can do well without it – so why mess around with an external generator running while you’re unable to keep an eye on it? As always, if you have more tips and insights on the topic, I’d love to hear them, so leave me a comment!